Remember back in the day, when luxury cars used to have built in phones? Made popular in the 80’s, 90’s, and even the very early 200s, believe it or not, they still make them today. For the longest time having a mobile phone built into your vehicle was a sign of luxury and perceived wealth. The rise of cell phones has largely made this technology irrelevant now but one can’t help but still have this school of thought. This service originated in 1946 with the Bell System. The original equipment used for such a task weighed in at about 80 pounds (36 kg) well into the 1980s, this service was used in large portions of North America. (http://www.wb6nvh.com/MTSfiles/Carphone1.htm) However, back in October of 1946, Motorola communications equipment carried the first calls on Illinois Bell Telephone Company’s new car radiotelephone service in Chicago, which unfortunately reached capacity rather quickly due to the limited number of radio frequencies available. Nearly 40 years later in the 1980s, the car phone was more popular than the regular mobile phone. Since a traditional car phone uses a high-power transmitter and external antenna, it is ideal for rural or undeveloped areas where mobile handsets may not work well or at all. Still, there are in fact US Federal Communications Commission regulations that stipulate carriers must pay penalties for activating any equipment that is not an E911 compliant device, such as analog. There were assorted films and TV shows which made use of the earliest mobile telephones as a prop. In almost every case, only the handset is shown and it can be assumed that there was no actual control head and only the “prop” handset was used. 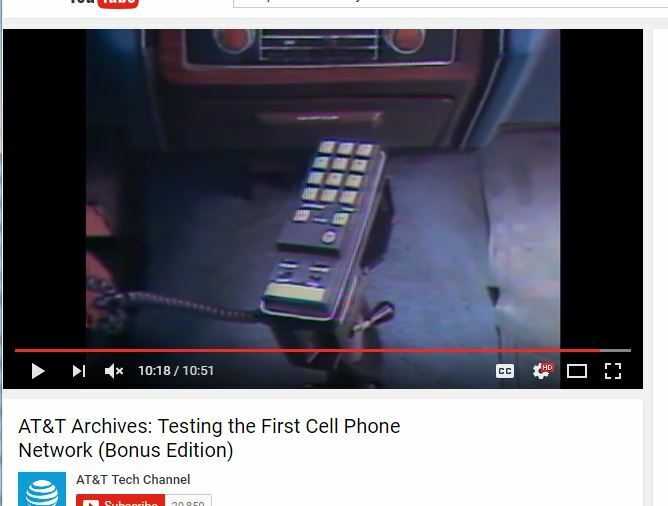 Some movies, while attempting to feature car telephones, show only complete props or other fakes. An example would be Sabrina, starring Humphrey Bogart, which unfortunately shows only a fake mobile telephone control head and a ridiculous gigantic antenna on the limousine’s hood that it’s mounted on. 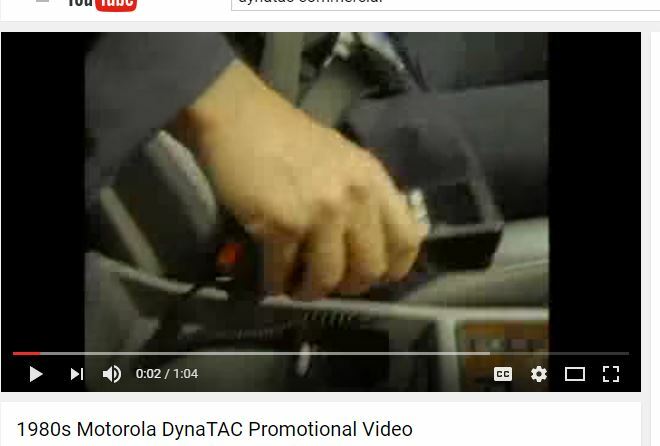 TV shows and movies with a spy/espionage backdrop such as Mission Impossible, Get Smart and the early James Bond 007 films all featured exaggerated versions of car phones as “gadgets” for the protagonists. Though the media portrayal of such devices are dated now, back then they were considered ahead of their time and almost predicted what a car phone would be now. Technology moves forward, and in the ‘second generation’ mobile phone systems emerged. These differed from the previous generation by using digital instead of analog transmission, and also fast out-of-band phone-to-network signaling. This is the beginning of what we call “cell phones.” These early devices were limited in terms of power consumption and signal quality so many users preferred to have these devices installed in their vehicles because at the time it was more convenient to do so. Car Phones are still available as a luxury item now though. World leaders tend to all have a satellite phone directly installed on board their limo. While hands-free devices have pushed this old gizmo into irrelevance and there are few car phones available as of 2008, some companies actually still make them up to current mobile device standards. Think of the Nokia 810 and more recently the Motorola VC6096 which are built for use over a satellite network. Motorola even provides US customers with the m800 and m900 car phones, for use with such networks as well networks respectively. Modern car phones have color screens and support high speed data connections as well as the ability to access SIM cards stored in other phones via Bluetooth. It should be noted, however, that in many countries, restricting cell phone use while driving is becoming a standard law. So even if you wanted to show off how attuned you are to modern communications, there is a matter of safety at hand.